Toyota drivers throughout the Lake Oswego, OR area know first hand how safe and efficient their vehicle make is. Todd’s Automotive is the area’s premier Toyota service specialist. At our facility, we treat you like family, not like the next number in line. Your Toyota will be with you for a long time, if you give it the preventative maintenance service it requires. Our specialists are well-trained in all Toyota repairs and maintenance services. We look forward to making sure you protect your investment in an efficient and long-lasting vehicle. Clean and consistent oil change maintenance schedules will protect and preserve your engine. Toyota drivers can also enhance their vehicle’s fuel efficiency with the appropriate oil change intervals. Our service plan is to keep your Toyota safe and in front of any costly repairs or breakdowns. The key is an effective maintenance schedule that considers the age and model of your Toyota, your driving habits, and the manufacturer’s recommendations. You may have purchased your Toyota for its size and efficiency but it’s the expert craftsmanship that keeps you on the road. That expertise, and having the dedicated team of technicians at Todd’s Automotive. Experience the Excellence of Toyota! As your Toyota accumulates years of mileage through a variety of terrains, it becomes more susceptible to breakdowns and performance problems. Our ASE Certified technicians are always here to monitor your vehicle’s condition and provide any necessary services for your Toyota. 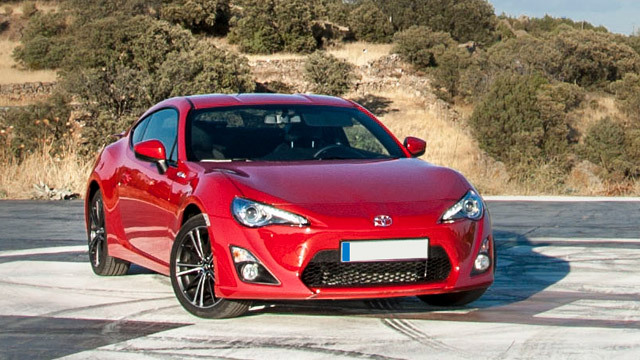 One huge benefit of our top quality Toyota service is the protection of your vehicle’s value. We perform repairs using the finest quality of parts replacements. The sooner you bring us your Toyota, the sooner we can provide an accurate diagnosis and complete repair. You can save yourself time and money by being proactive with all of your Toyota repair services. We handle it all, so make us your go-to Toyota Service provider for any of your needs. Bring us any abnormal engine noise, braking system issues, emissions testing, hybrid repairs, and much more. We’re a full service facility for any of your Toyota’s needs. Enhance your Toyota’s driveability with steering and suspension repairs, air conditioning repairs, electrical system services, driveline repairs, and more. Our thorough inspections and computerized diagnostics will keep you in drive, and time for every appointment. Toyotas are a vehicle make that serves its owners well. Drivers have to do their part to maximize your Toyota’s performance. Give us a call today to schedule your next appointment! Owners preserve their engine’s quality with our specialized services, helping to retain its resale value. Save yourself some time by picking a time and day right now that works for your Toyota’s next service appointment! Our convenient online scheduling system makes scheduling your Toyota service quick and easy! Todd’s Automotive team is looking forward to providing you with top-notch Toyota services.